Pray these featured prayers to help you draw closer to God’s Will. 1. Father God, In The Name Of Jesus Christ, I pray You would reveal Your Purpose and Will for my life. Please help me to always put Your Will first in my life, and help me to deny myself, and my own selfish, worldly desires, so I may obey Your Will and Your Word at all times. “Love not the world, neither the things that are in the world. If any man love the world, the love of the Father is not in him. For all that is in the world, the lust of the flesh, and the lust of the eyes, and the pride of life, is not of the Father, but is of the world. And the world passeth away, and the lust thereof: but he that doeth the will of God abideth for ever.” 1 John 2:15-17. 2. I thank you Father God, that as I seek first Your Kingdom, and Your Righteousness, You will add all the other things that I need. Let me focus on You and not on my self. “But seek ye first the kingdom of God, and his righteousness; and all these things shall be added unto you.” Matthew 6:33. “Trust in the LORD with all thine heart; and lean not unto thine own understanding. In all thy ways acknowledge him, and he shall direct thy paths.” Proverbs 3:5-6. Help me hunger after Your Will. 3. I will decree all my prayers to You, Father God, In Jesus’ Name, so that they shall be established, and so that Your Holy Angels may act upon Your Precious Word. “Thou shalt also decree a thing, and it shall be established unto thee: and the light shall shine upon thy ways.” Job 22:28. “Bless the LORD, ye his angels, that excel in strength, that do his commandments, hearkening unto the voice of his word.” Psalm 103:20. “For ever, O LORD, thy word is settled in heaven.” Psalm 119:89. 4. I thank you Father that According To Your Word, “Beloved, I wish above all things that thou mayest prosper and be in health, even as thy soul prospereth.” 3 John 1:2. It Is Your Will for me and my family to prosper and be in health, as our souls prosper. Help my soul, and my family members’ souls, to prosper, by increasing the knowledge of You, and Your Word, in our lives. Supernaturally Reveal Your Will and Wisdom. You Sent Jesus to come, so I may have life and have it more abundantly. John 10:10. 5. Father God, please help me to have a Walk Of Diligence at all times in my life, so I may always Glorify You! Let me not forget the benefits of diligently following Your Will. Psalm 103:2-6. May I always strive to diligently seek, know, and obey You, continually maintaining faith in You. Help me to diligently redeem the time because the days are evil. Show me Your Plan for my life, and cause me to properly submit myself to Your Will. Remove everything causing me to sin, or be lazy, distracted or disobedient. Help me to always delight myself in You, Your Will, and Your Word. Deliver me from every accusation and claim of the Adversary. Defend me, and uphold the authority and rights, Christ has given to me, which He Purchased With His Blood on The Cross. Discover more Christian Prayer Resources. Use Navigation Menu (Upper Corner) for more Christian Resources. Believe that God Loves You! Jesus Christ died for your sins, to offer you Salvation! Prophecy Fire™ Christian Media Network helps you discover Christian videos, books, music, prophecy, events, and resources. Prophecy Fire™ delivers hope, sets people free, to fulfill their God-birthed destiny. Delivering Hope to a Lost and Dying World. “And such as do wickedly against the covenant shall he corrupt by flatteries: but the people that do know their God shall be strong, and do exploits.” Daniel 11:32 KJV. “For I will give you a mouth and wisdom, which all your adversaries shall not be able to gainsay nor resist.” Luke 21:15 KJV. 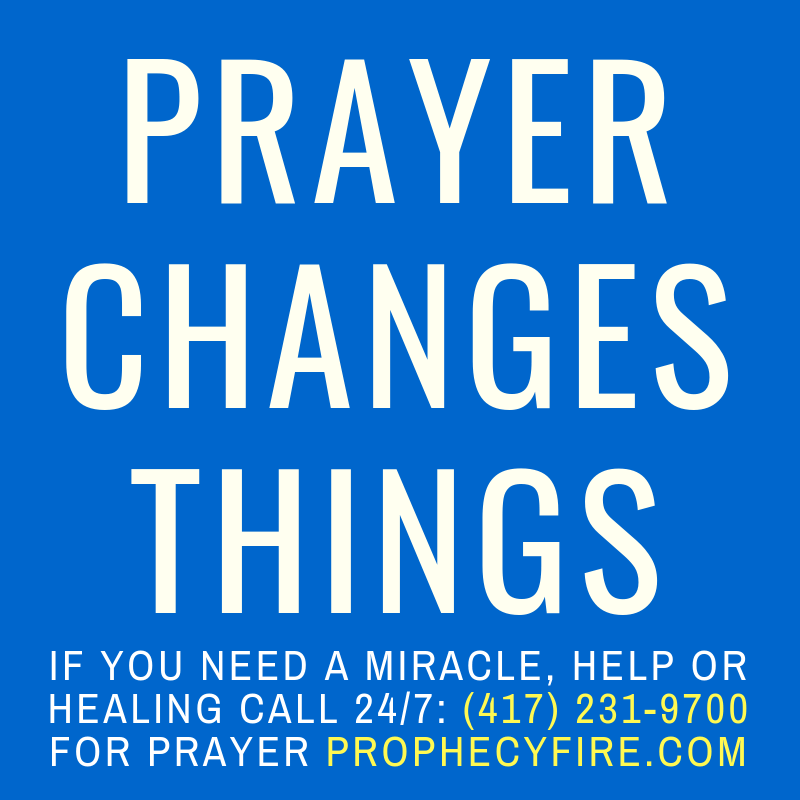 More About Prophecy Fire™ – Contact Us. 1,487,781 web pages to Glorify God!